Bengt Holmström and Oliver Hart,have won the 2016 Nobel Prize for economics. Two academics who developed modern ways to think about writing contracts in areas as diverse as car insurance, bonuses for chief executives and the provision of public services. 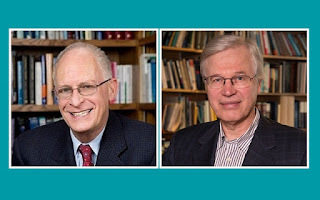 Mr Hart, a Briton based at Harvard University, and Mr Holmström, a Finn who teaches at the Massachusetts Institute of Technology, share the $925,000 award from the Swedish Riksbank in memory of Alfred Nobel, for their “contribution to contract theory” in the 1970s and 1980s. Their work provided economists microecomic tools to understand interactions between entities, such as design of performance incentives in firms, corporate governance, privatisation, constitutional law and entrepreneur-investor relationships.